This is a search engine optimization list diagram ppt slides. This is a one stage process. The stages in this process are social bookmarking and many more, classified ads, forums, press releases, directories, social media, mecca page, internal blog. 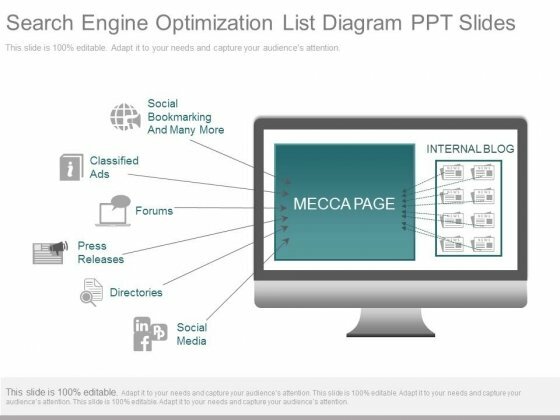 Our Search Engine Optimization List Diagram Ppt Slides are like a deep breath. They ensure your ideas endure.